Email is a vital part of business nowadays. It’s an essential way to connect with clients, customers and colleagues. However with all its pro’s, email comes with its cons. Spam email is a spectre haunting email networks and making its way into people’s mailboxes. If users aren’t careful, they can fall victim to spam emails cruel grasp. Unbelievably, 86% of the worlds email is spam – this works out at around 400 billion junk emails distributed every day. The majority of these emails are harmless and are merely just an inconvenience in user’s mailboxes. However, many of them are malicious emails with links and files that contain malware. If you aren’t vigilant with your emails, you can infect your businesses network with detrimental malware such as the widely feared Ransomware. Below is an example spam email. Take a look at it and see if you can find any clues that it’s spam. A reliable, managed spam filter is an effective way to avoid spam email. It allows you to control your email flow and if necessary whitelist/blacklist email domains. 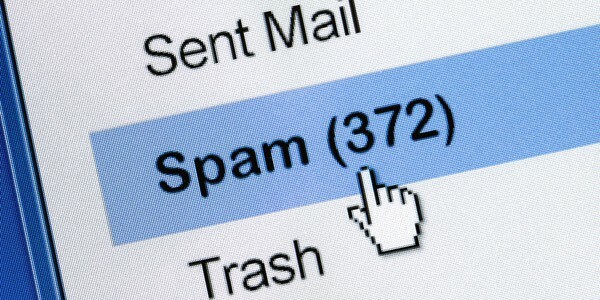 We offer an affordable spam filter that can prevent spam hitting your mailbox. However, with the constant evolution of spam emails, not all spam emails will be caught. Training staff goes hand in hand with having a spam filter in place. This will hopefully mean when Spam is delivered it won’t be opened.